I tried very hard to find a correct English name for this Taiwanese herb. It's actually called 刺蔥 - direct translation will be prickly scallion. Prickly because the stems are full of cactus-like thorns all over. The leaves have a distinct and pungent aroma. Aboriginal people in Taiwan usually take the leaves and lay them under the sun before storage. Dana leaves, that's how the aboriginal lady called this herb with her native tribal language. The lady told me dana leaves are usually used in fish soups. That actually makes sense because its strong scent can definitely remove any gamey taste from the fish and brightens up the flavor. 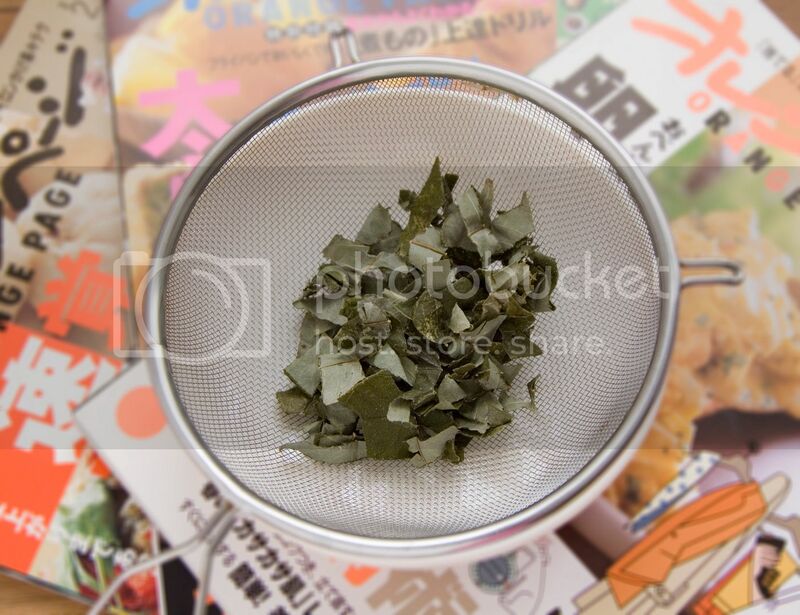 However, instead of making a fish soup, let me try dana leaves with baked salmon. Preheat the oven to 345 degrees Fahrenheit. 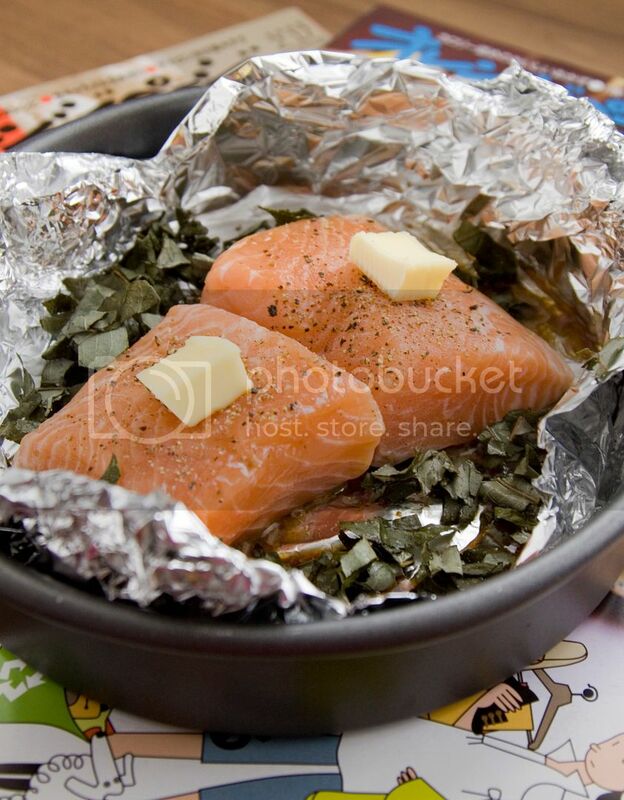 Line the baking dish with aluminum foil. Evenly sprinkle washed and dried dana leaves all over. Transfer the fish fillets onto the leaves. 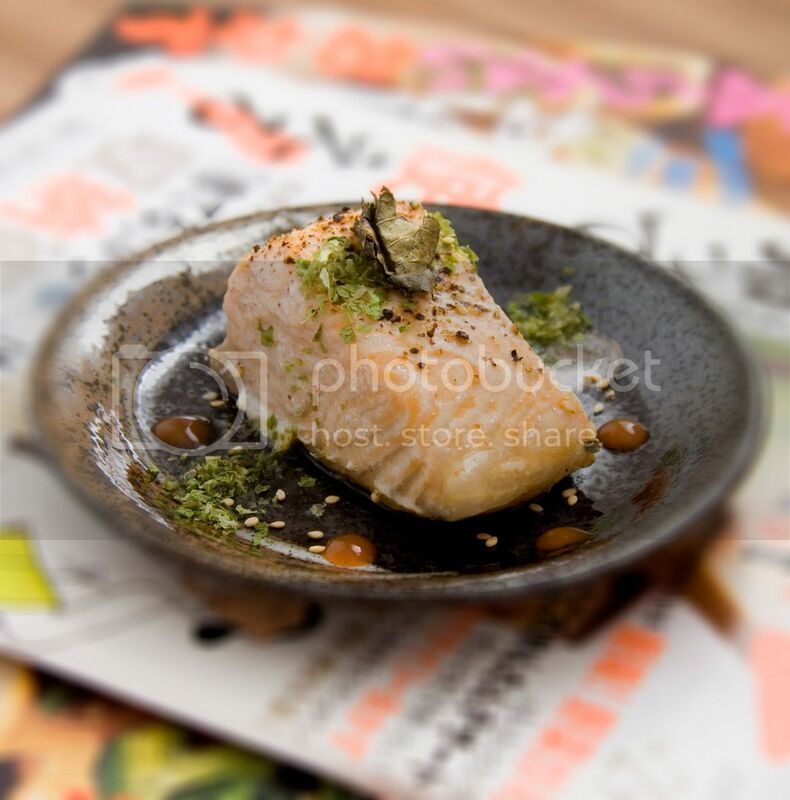 Drizzle 1 tablespoon of ponzu sauce and 1/4 teaspoon of sesame oil onto each fillet. Sprinkle some freshly ground black pepper and put 1 tablespoon of unsalted butter on each fillet. Into the oven for 20 to 25 minutes, depending on the thickness of the salmon. Once done, remove from heat and reassemble the fish onto another plate. Sprinkle some dried seaweed flakes and toasted white sesame seeds. Serve with Sriracha sauce and perhaps some fine sea salt if desired. This is a very light but healthy dish. On top of buttery taste, the salmon also comes with a slightly leafy aroma. I simply served it with steamed white rice and some stir fry vegetables. If you can't find dana leaves, I suppose mixed Italian herbs will do the same trick! Salt curing duck egg is one of the common ingredients in Taiwan. Basically the duck eggs are preserved in water with very high salt content for couple weeks. Later on the eggs are being boiled before serving on its own or as cooking ingredients for other dishes. The final product looks similar to hard boiled eggs, however, with a more dense texture and concentrated flavor. Today, instead of eating as it is, I'm gonna mix the cured duck eggs with king oyster mushroom. Remove the egg shell and break the eggs into smaller pieces. Add into a pan and turn to medium high heat. Drizzle in some chili oil and sprinkle some black pepper. Cook for couple minutes but be careful do not let the eggs get burned. The mixture should appear dry because we are using the heat to further bring out the aroma from the cured eggs. Let's prepare the mushroom while waiting for the eggs. 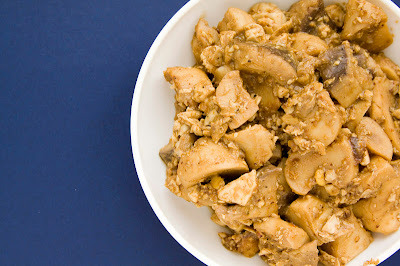 Remove the tough stems from the king oyster mushroom and cut the remaining part into bite size pieces. Add to the pan along with black bean soy sauce. Give it a quick stir then pour in the hot water. Just keep cooking till the water has been fully absorbed. Drizzle some sesame oil before transferring onto the plate. Sprinkle some toasted sesame seeds and this quick Asian dish is ready! This recipe yields for a more salty taste. Personally speaking, I think this mushroom and cured duck eggs dish should be pretty good with porridge. If lighter version is preferred, just reduced the amount for soy sauce and use more hot water instead. 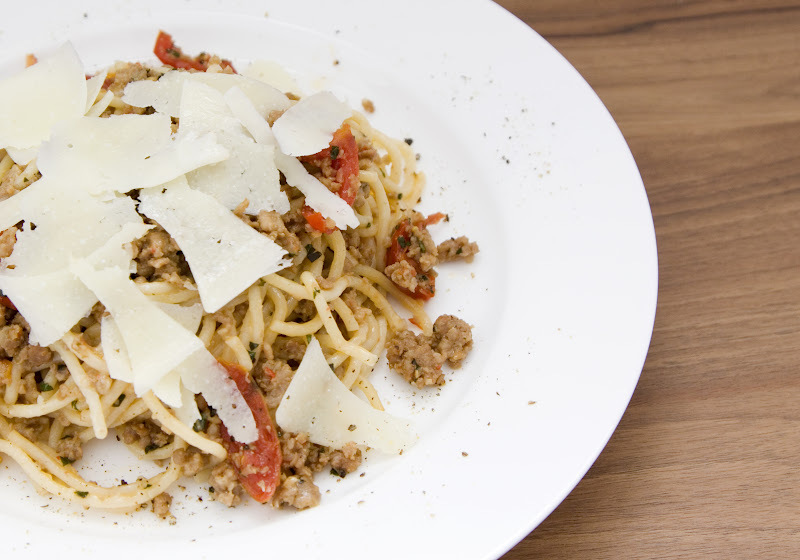 This is a hassle free recipe for busy moms out there. 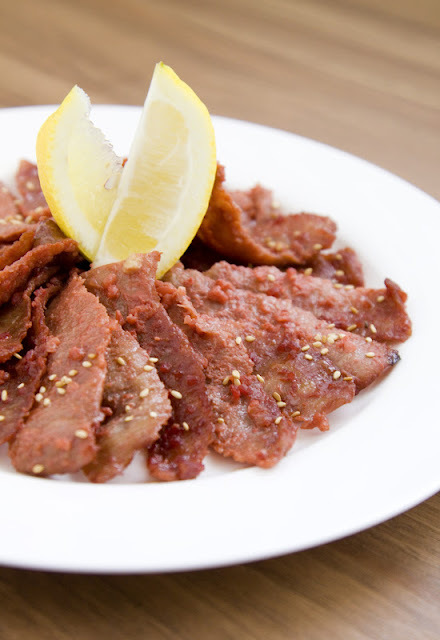 You can simply prepare the ingredients and marinade the pork slices over night. When you're ready for a meal, just pop it into the oven for no more than 30 minutes and you'll have a delicious side dish perfect for steam white rice! Whisk all the marinade ingredients together. 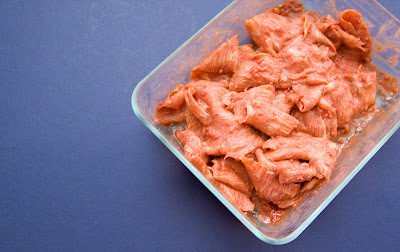 Rub the marinade on each pork slices and cover with foil. Into the fridge for at least 6 hours, preferably overnight. Preheat the oven to 400 degrees Fahrenheit and line a baking dish with foil. 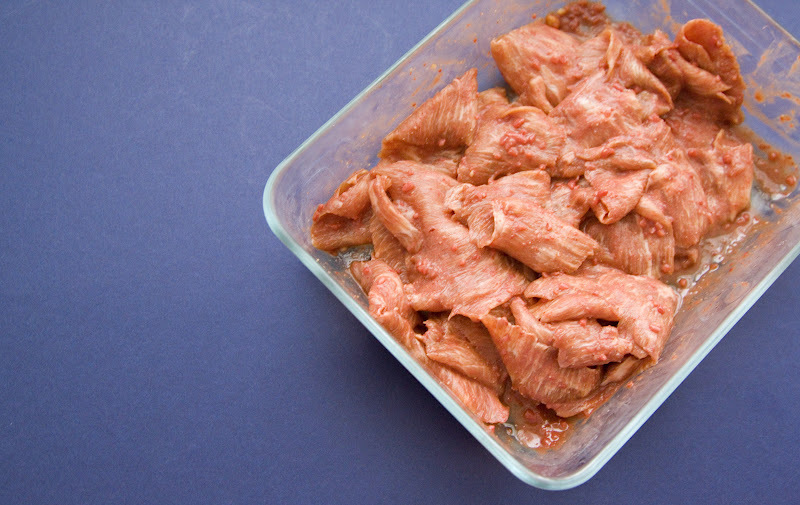 Lay the marinated pork slices evenly on the baking dish and into the oven for 20 to 25 minutes. You'll know it's ready when the edges of the meat started to appear slightly burned. Sprinkle some toasted sesame seeds and served with fresh lemon wedges. The acidity from the lemon will balance out this slightly salty dish. 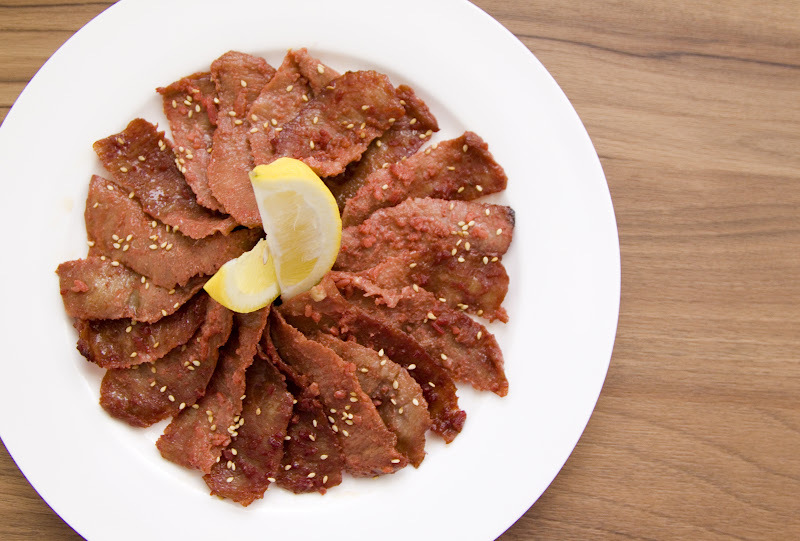 Marinated Matsuzaka pork can be served as an appetizer or perhaps the satisfying "side dish" for your beer!? What's the difference between pecorino and Parmesan cheese? These two are in fact pretty similar in taste and texture. However, these cheeses are in fact coming from two different sources. 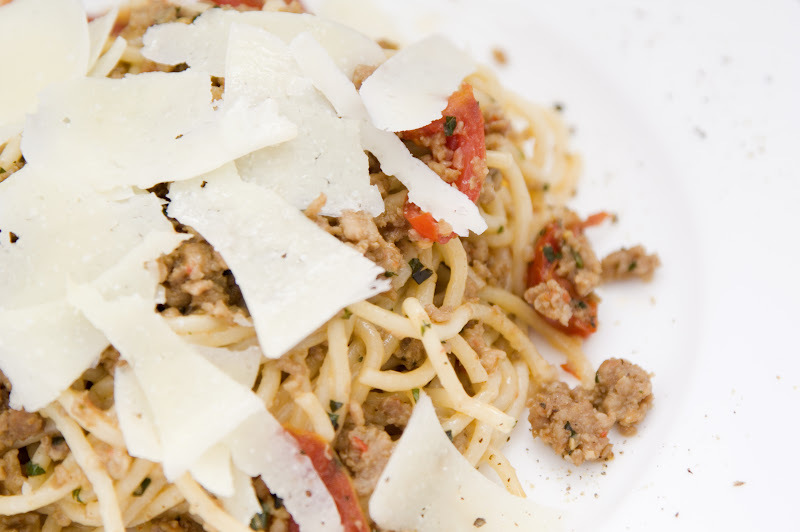 Pecorino is made from ewe's milk and Parmesan on the other hand is made from cow's milk. With that in mind, if you can't find pecorino for this recipe, Parmesan will do a fantastic job too! 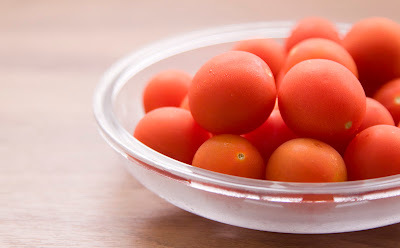 If you can't find tomatoes like this, you can simply use the ones that are more sourish in taste. Personally speaking, I think this recipe works better with sourish tomatoes instead of sweet types. Cut the tomatoes in half or perhaps quartered if needed. Peel and finely chop the garlic. Remove the stems and finely chop the chilies. Also finely chop the oriental basil. Again, if you can't find oriental basil, which has stronger aroma compared to regular basil, just use more regular basil to compensate that lost kick. Add in the spaghetti and cook till al dente in texture, remove from liquid and set aside for later use. Do not discard the pasta water because we might need it to dilute the sauce later on. Drizzle enough olive oil till evenly coat the bottom of the pan. Turn to medium heat then toss in chopped garlic and chilies along with some sea salt and black pepper. Cook for about 1 minutes till that garlicky scent comes out, make sure to keep the fire low enough so the garlic won't get burned. This is actually one recipe here already. You can serve it over rice and sunny side up egg. Instead of western spaghetti, you can also mix it with Asian noodles with additional soy sauce and sesame oil. After scooping the ground pork to another container, just take the same pan and add in the butter and heavy whipping cream. Use low heat to warm up the butter and cream. 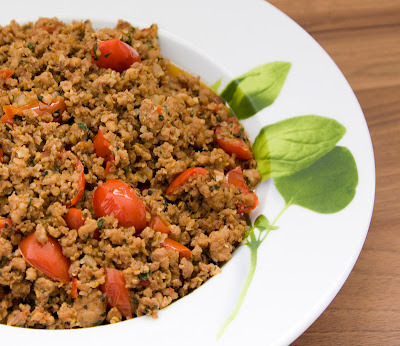 Add generous amount of stir fry ground pork along with cooked spaghetti. Give it a few tosses and see if more heavy cream or pasta water are needed to dilute the sauce. Remember to taste the pasta and see if more seasoning is needed. Once done, transfer onto a plate and serve with shaved pecorino romano, lots of it. Garnish with freshly ground black pepper along the rim of the plate. I love adding lots of heat to my plate so even though 6 chilies were already used for this recipe, I still poured a good amount of Tabasco while digging in this fusion meal. Supposedly the heavy whipping cream should balance out the spiciness right? 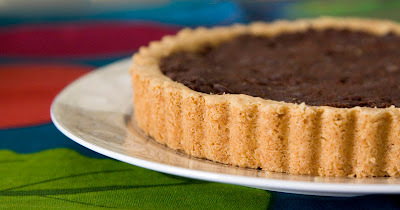 This recipe is a crossbreed between Italian style tart shell and Japanese style filling. Pine nuts were used to the tart shell to add a nutty punch. 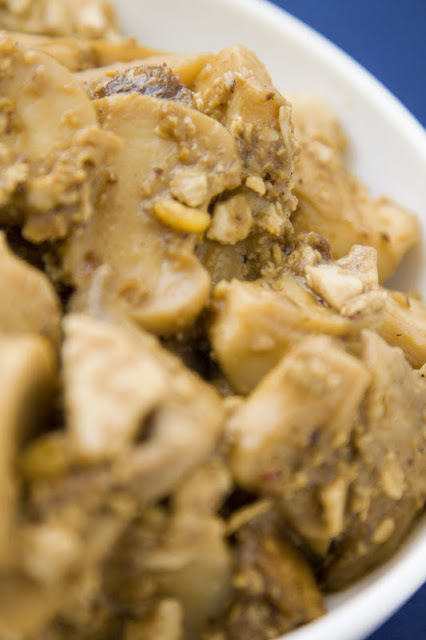 This type of shell matches very well with the honey infused red bean paste I made before. If you are a fan of west meets east dessert, come give it a try! Ingredients (for one 7-inch tart)? Here's the link for my red bean paste recipe. Grease the inside of the shell mold with some melted butter. Give it a few pulses first. 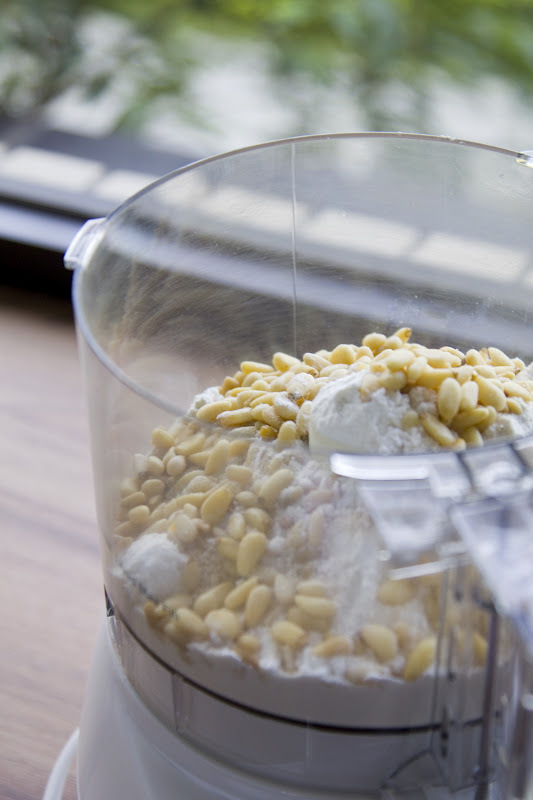 Cut the butter into small cubes and add into the food processor. Give it a few pulses again then mix till the mixture start to form a dough. Remove the dough from the processor and form a big ball. Wrap with foil and into the fridge for about 30 minutes. 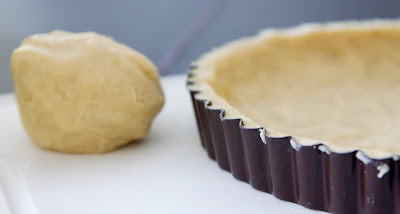 After the dough has been set in the fridge, evenly press the dough onto a greased 7-inch tart mold. It should be about 1 centimeter or a little bit less in thickness for both the sides and the bottom. I actually made a mistake here and didn't leave enough dough on the bottom. Lesson learned! Personal opinion, it's always better to have a thick crust then no tart shell at all! Preheat the oven to 350 degrees Fahrenheit/175 degrees Celsius. Gently pour in the pie weights and bake for 25 minutes. Once done, take out the tart shell and let it cool down a wee bit. Remove the pie wieghts and back to the oven for another 20 minutes. Last step, take out the tart shell and let it cool a little bit till ok to handle by hand. Fill in the red bean paste. Remember to even out the surface since this type of filling is pretty thick and will not smooth out during the baking process. Continue to bake for another 10 minutes. Once ready, remove from heat and wait till completely cool off before cutting into individual slices. If you can get a hold of condensed milk, just pour it right on top of the filling. Condensed milk makes red bean tastes even better!